You’re certain that the content you’ve created is valuable, so why are you not seeing the traffic and conversions? Often the problem is down to distribution. Sure, we execute the usual activities: Share to our social platforms, send out an email campaign, encourage our employees to share. But what about new visitors? Where are they? This problem is usually caused by the lack of a proactive content promotion strategy. We do things that will nurture our current audience, but when building new relationships, we often shy away. I’m going to share several ways that will help you to generate fresh traffic. They involve some groundwork, but in terms of getting short-term gains they’re invaluable to any content marketing strategy. Not only that, but they’ll have far-reaching effects toward building strategic relationships and your SEO goals too. When we talk about community marketing, we automatically think of the ones that we’ve built ourselves. We’re quick to forget about the thousands of communities already out there with engaged and active users with whom you can build influence and drive toward your own content. Identify active communities that have a large audience of your target personas. Get involved, contribute to discussion, and become a familiar face. Provide value in the form of a discussion or thread, with a link to your original content (when permissible). I’m going to run through several approaches and platforms that you can tap into today to generate traffic for your next blog post. The popular question-and answer-platform has been talked about to death, but I have a unique spin that you may not have tried. First, make sure you have a complete profile. Make the first 50 characters of your bio count because that’s what Quora displays in your posts. Include your brand name or job title. I found someone who asked, “What are the best websites for content distribution?” Instead of just answering with a link to my original blog post, I added some advice – giving value up front. I then found the person who posted the Quora question on Twitter and sent a quick message to see if my advice was what they were looking for and if there was anything I could elaborate upon. In most cases, the questioner up-votes my response, which I believe gives the answer more weight and displays the post above those with a higher number of up-votes. As you’ll see, proactive outreach is key to a comprehensive content promotion strategy. In this case, it helps cut through the noise of other posters, which is especially important for more popular questions. The first step is to find a subreddit that fits your industry or, at the very least, the nature of your content. Run a search or check out this list of most-popular subreddits organized by popularity. Pay attention to the rules and become familiar with them. Moderators are ruthless, and a spammy approach won’t work here. 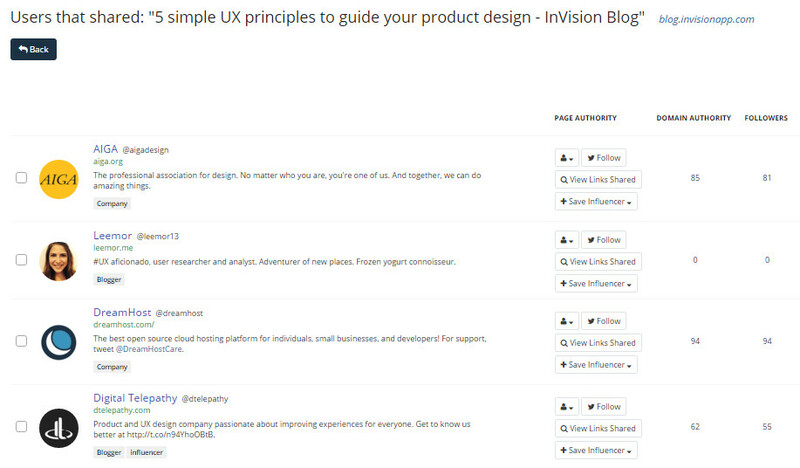 Make time to contribute to the discussion every day for a week or so, then post your content. As I did with Quora, go beyond just posting a link. Give some value in the post itself and include a link to the original content. Each subreddit has its own rules – some, for example, require you to post the entire article into the post. The key is to follow the rules closely. Break down influencer marketing into multiple categories. You can tap into all the people in your market who are actively interested in your content. I export this list to a CSV file and select whom I want to reach based on number of followers, average retweets etc. Many media sites have huge audiences that are hungry for new content and are willing to republish existing content. This publishing platform is hot. Thought leaders from several industries, including VaynerMedia CEO Gary Vaynerchuk and Basecamp CEO Jason Fried, are getting involved. While there are potential pitfalls in using Medium to republish content, my strategy sits nicely in between republishing and repurposing. Instead of just reposting an entire article, I write about the original post’s topics in broad strategic terms. You also could expand on a portion of the original post. Pulse works in a similar way to Medium. You can use your proprietary content as the basis for a new post on Pulse or republish your original content article in full. Some people opt to post a teaser on Pulse with a link back to the original. If you see potential in LinkedIn Pulse, it’s worth testing different approaches and seeing which gets you the most engagement and traffic. If you are concerned about the SEO impact of duplicate content, the best fix is to include a canonical link at the top of the republished article to indicate to Google which version is the original. These techniques and approaches still work incredibly well within competitive and saturated markets. If you’re operating in a more niche market, you’re even more likely to propel your content past your competitors. Each technique will change with time, but I believe they always will be strong methods of promoting and distributing your content. What content promotion techniques are you testing at the moment? Where have you seen the most success? 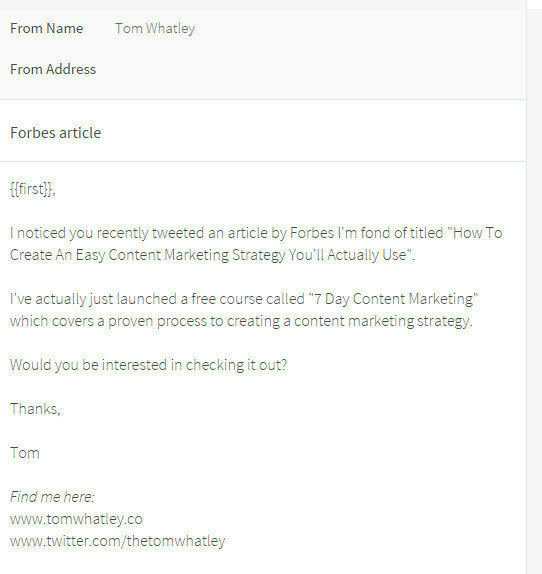 Tom Whatley is a content marketing specialist with seven years’ experience in the digital marketing space. He's the creator of 7 Day Content Marketing and shares actionable content marketing strategies and techniques for entrepreneurs on his blog.